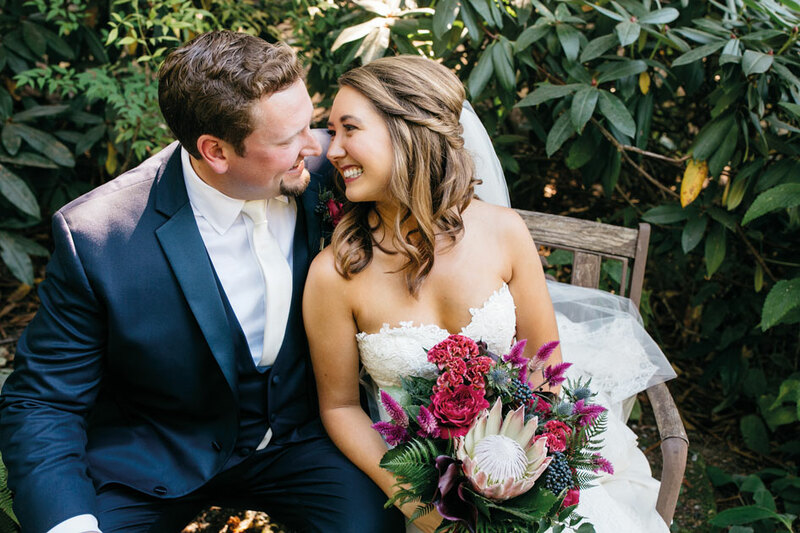 The couple always knew they wanted a summery wedding in a venue with both indoor and outdoor space. 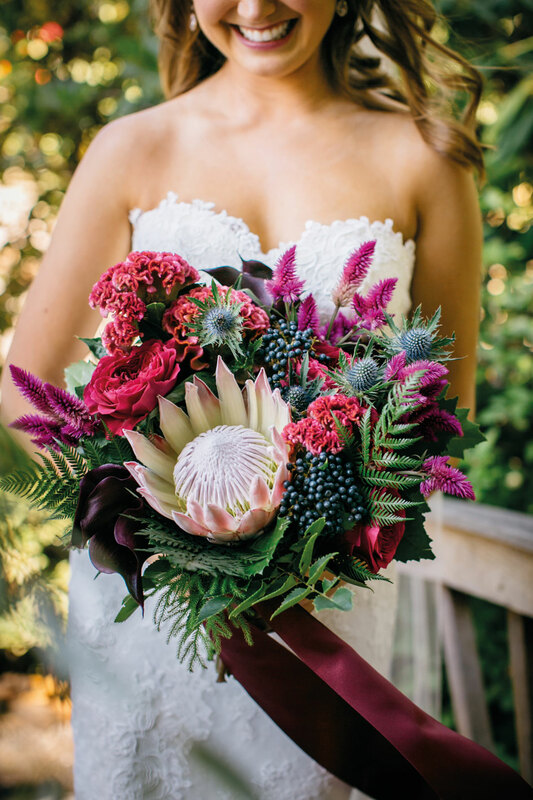 They visited the charming 10-acre DeLille Cellars estate on a rare sunny day in March and instantly fell for the beautiful and spacious grounds and adjoining terrace—perfectly suited for the couple’s 150-person affair. 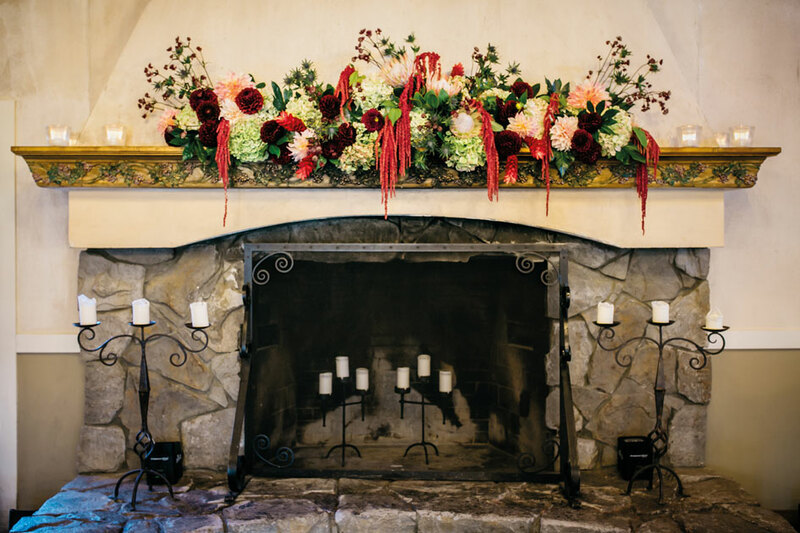 For the ceremony centerpiece, the wedding planner’s son built a beautiful driftwood arch, which was then accented with bright magenta blooms. 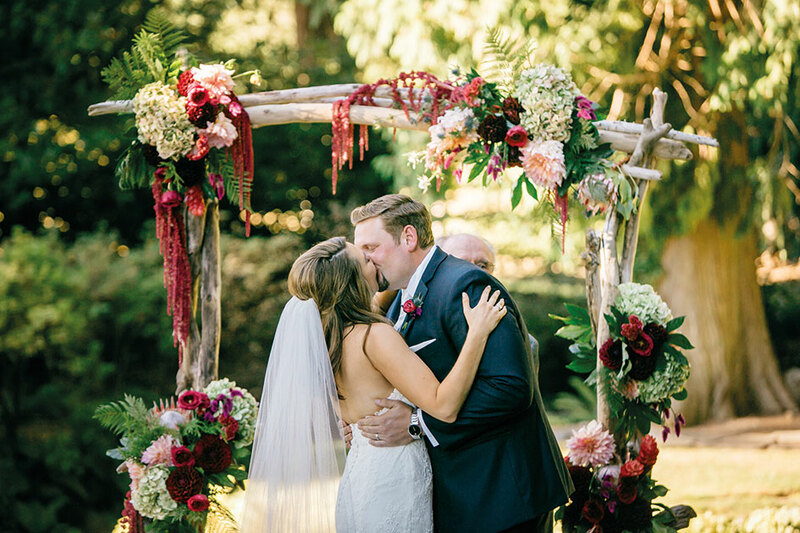 “I just remember grinning from ear to ear, staring into John’s eyes, holding tight to his strong hands and being so incredibly happy up there under the flowering arch,” says the bride. 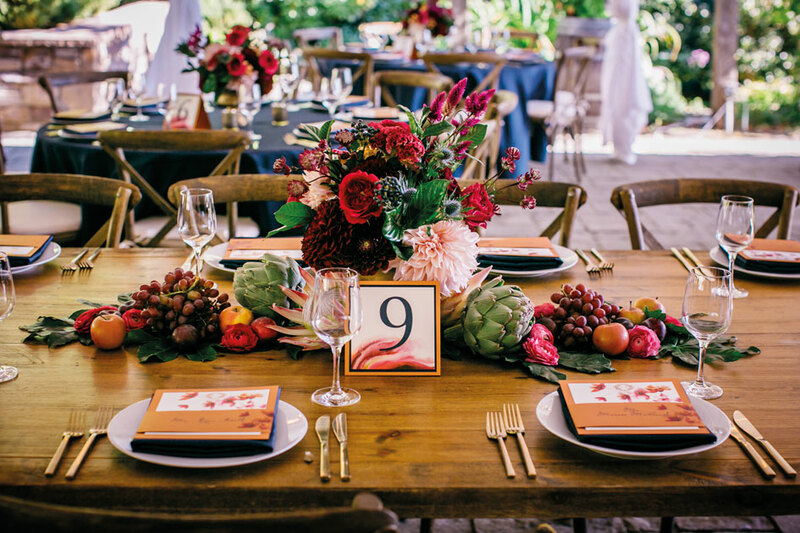 Guests were treated to gorgeous dinner tables decorated apples and grapes spilling out of gold vessels. 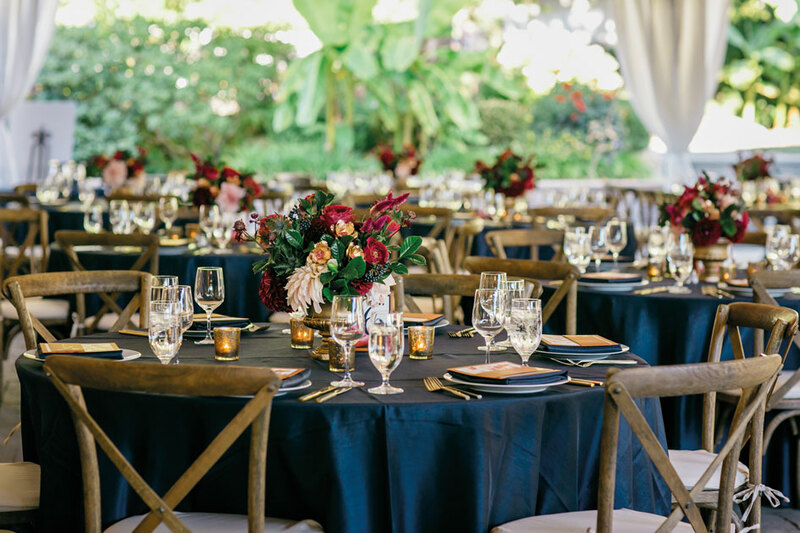 Gold chandeliers glistened above navy linens and gold place settings. For the ceremony, Alexis wore Prada burgundy suede pumps that John had given her on their first Christmas together. 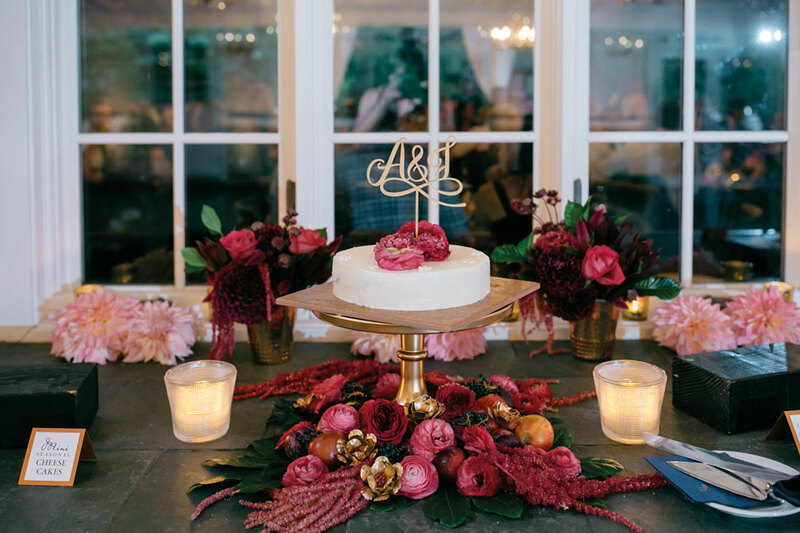 For the reception, she switched into Keds X Kate Spade rose gold sparkle sneakers so she could hit the dance floor.